A voluntary University-wide faculty retirement option is a standing retirement benefit available to provide eligible, tenured faculty members increased flexibility during the final years of their academic careers. This phased retirement option is available to tenured faculty members on all three campuses who are at least 65 years old and have 10 or more years of service at Georgetown University and who may qualify for the plan. The phased program allows eligible faculty members to work for up to two years at 50% effort, while receiving between 75% and 100% of their current annual faculty base salary, during the phased period. The plan will pay 100% of full-time base salary to faculty whose full-time base salary is up to 105% of the FICA limit in a given year, and the greater of 105% of FICA or 75% of full-time base salary to those whose full-time base salary is equal to or greater than 105% of the FICA limit. Georgetown University’s Office of Faculty and Staff Benefits is available to answer any questions you may have about retiree benefits. Resources to help with pre-retirement planning, including a Retirement Checklist, are available at https://benefits.georgetown.edu/benefitsretirees/preretiree. 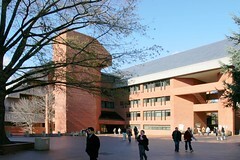 Additional resources are provided at https://benefits.georgetown.edu/benefitsretirees. 1. Faculty members who are not accepted for the Program will be given notice of that decision and have 60 days (required by law) to submit an appeal to the Administrator. 2. Tenured faculty members electing to participate in the program will be required to execute a formal separation agreement and release of claims against the University, including claims arising under the Age Discrimination in Employment Act, and must be given at least 45 days within which to consider the agreement. In addition, such faculty members must be given a period of seven days after executing such a waiver to revoke her/his acceptance of the waiver.